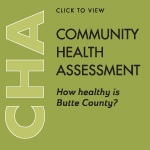 Butte County Public Health is a Nationally Accredited Health Department of the Public Health Accreditation Board (PHAB). Promoting healthy behaviors and resources, preventing illness and protecting the health of residents and visitors in Butte County is our daily commitment. The Butte County Public Health Department (BCPHD) runs over 50 programs serving: children, mothers, families, adults, small businesses, animals and the environment. 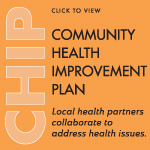 As a nationally accredited health department, we are involved in a variety of community-based activities that engage residents in the planning, evaluation and implementation of health improvements in their communities. 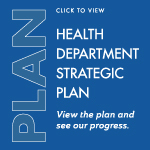 Our website is designed to be your local resource for health information. Throughout this site, you can learn more about the many excellent programs and services that are offered through the department. Learn about important opioid misuse and abuse resources in Butte County. Walgreens on Nord Avenue in Chico now offers a 24/7 medicine collection bin. Prescription and over-the-counter medicines are welcome. The health department operates two public health clinics that offer immunizations, travel shots, family planning, STD testing and treatment, health exams, and free condoms. Low-Cost or free services are available. Lab services provide water, insect and tick testing to the public. The health department works to prevent and control diseases. Health promotion and disease prevention services are designed to protect the health of the public and individuals. The health department collects disease data to help monitor the health of the community. The Animal Control division serves the unincorporated areas of Butte County. Their role is to protect, promote and enhance the health, safety and quality of life for the county's animals and citizens. Services include: dog licensing, rabies information, lost/found pet resources, pets at large, animal bite prevention education and rescue efforts during emergencies. The Vital Records office is your source for certified birth, death and burial permit certificates. Additional services include the issuance of medical marijuana identification cards. The Nursing Divisions offers a wide variety of services to promote healthy behaviors for: maternal and child health, injury prevention, child passenger safety, children in foster care, adult services and more. Environmental conditions can affect individual and community health. The regulation and monitoring of retail food facilities, drinking water, public swimming pools, wastewater, land development and hazmat disposal is the responsibility of the Environmental Health Division. Citizen participation and advisory groups create community collaborations throughout the county.